It’s flu season! The best way to protect yourself, and others, from catching the flu is to make sure you get your flu shot. Doing so helps increase herd immunity. There are people who cannot get the flu shot because they are too young, elderly, or have a compromised immune system. Here are some inexpensie ways to get your flu shot. 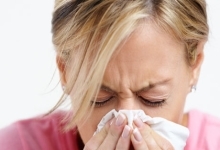 The influenza vaccine should be covered by your health insurance plan. This is true no matter if you get your health insurance from work or from a Marketplace. You are already paying the premiums, so you should definitely take advantage of the “freebies”. Your workplace might set up a conference room where workers can stop by and get a free flu shot. They might let workers know about this through email or a memo. In general, flu shots offered for free at a workplace are given to those who have the insurance – and those who do not. You can make an appointment online to get a flu shot from Walgreens. They are being offered for $0 copay (with most insurance). CVS is offering a no-cost flu shot. Eligible patients will not pay any co-payments unless required by their plan (including Medicaid Part B). Get your flu shot at CVS, and you can receive a merchandise coupon valid for 1-time use at CVS Pharmacy locations. The coupon gives you $5 off $25 of product. Rite Aid offers a free flu-shot from a pharmacist. (It is free with most insurance.) There is no appointment necessary. Call your county’s health department and ask if they are offering free flu shots. They might be able to tell you when it will take place. Or, they could refer you to another place that is offering free flu shots.